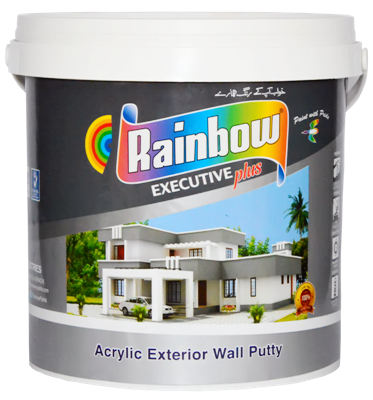 Rainbow Wall Putty is a high performance non-flowable putty with extreme durability and excellent finish. 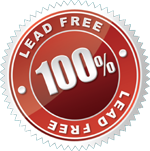 It has fast drying and good sanding properties. It helps filling cracks and also obliterates the grey color of plaster improving hiding power of finish paint, also provides better adhesion to surface. Rainbow Acrylic Exterior Wall Putty is ready for use however slight addition of water is recommended for excessive absorbent plasters. Sand down the plaster with emery paper preferably emery stone, apply one coat of Water Base Primer or Wall Primer Sealer followed by 2 coats of Rainbow Exterior Putty. Two coats of putty is applied, with a interval of 2-3 hours between coats. Remove dust, dirt and loose adhering or flaked paints by scarping with scraper (wall) or Emery Paper. Dust off and apply 1 coat of Water Base Primer or Wall Primer Sealer. Allow to dry properly followed by 1-2 coats of Rainbow Exterior Putty. Prior to application of finish paint.